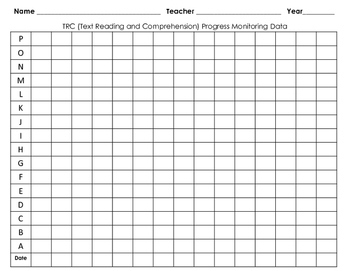 I love that our school has iPads for our teachers to keep up with mClass progress monitoring, however, I'm pretty old school when it comes to keeping data. 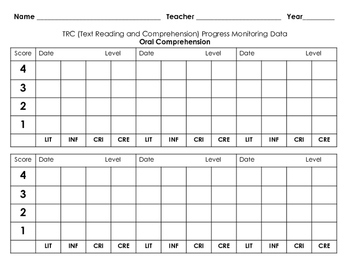 I like to have my data points recorded on tracking sheets so that they are readily available for parent conferences, RTI meetings, IEP meetings, or for when other specialists are requesting data. Here you will find a tracking sheet for TRC reading levels, as well as tracking sheets for oral and written comprehension scores. Additionally, you will find graphs that are GREAT for RTI. 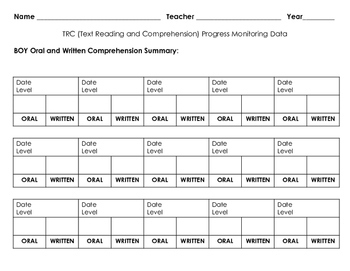 Our administration requires us to compile our data points into graphs to track intervention progress for our students in Tiers II and III. These easy to read graphs will prove extremely helpful in your next meeting!